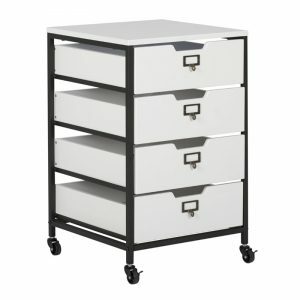 The innovative features of the TriFlex Drawing Table by Studio Designs make it a unique addition to your office or studio. 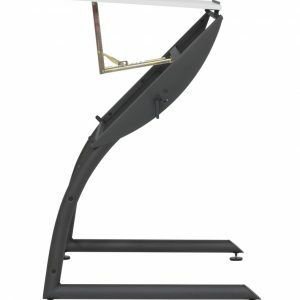 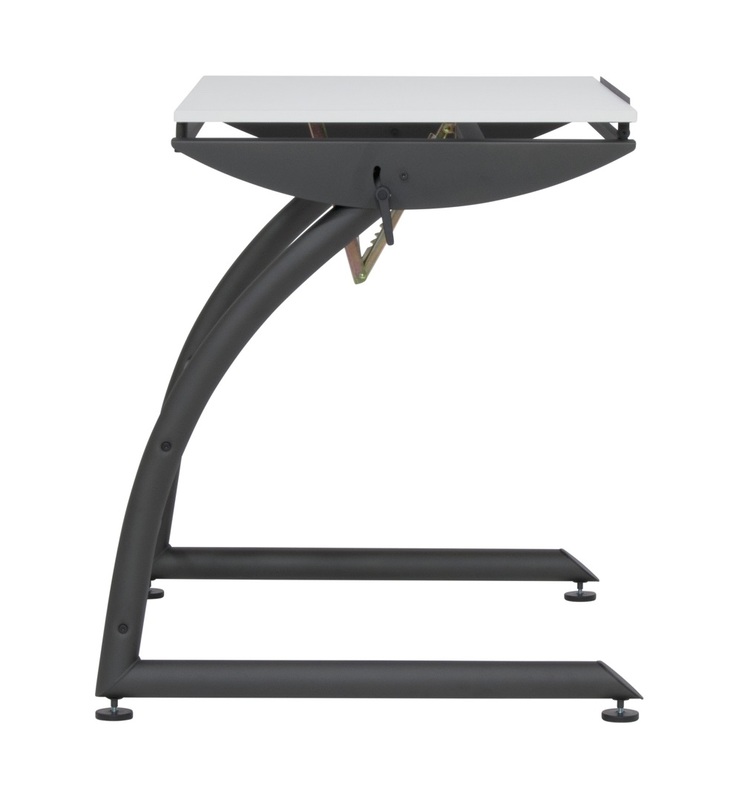 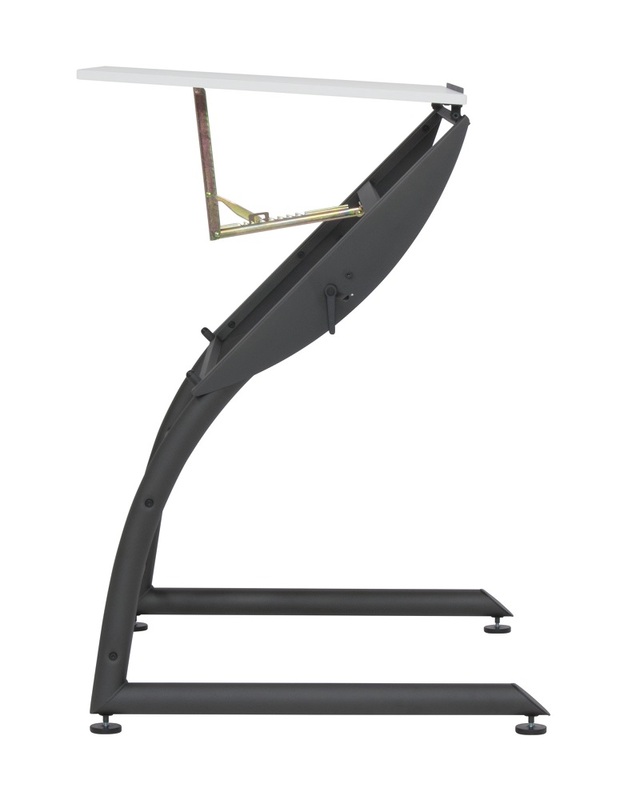 The “Dual Tilt Design” adjusts from standard desktop height of 31” to a standing desk height of 39.5”. 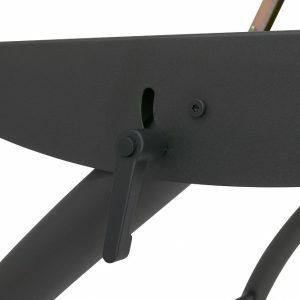 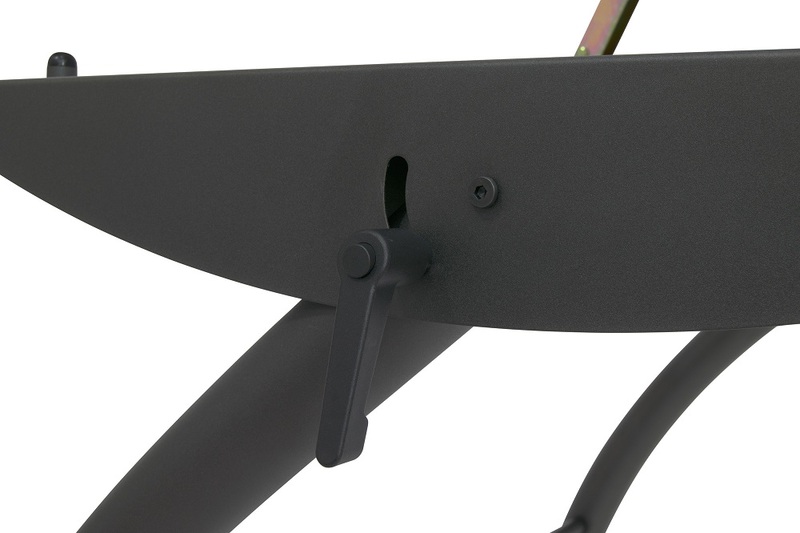 The side handles allow you to lock into these positions for your various needs and projects. 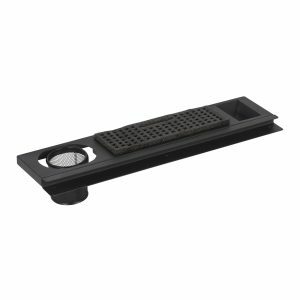 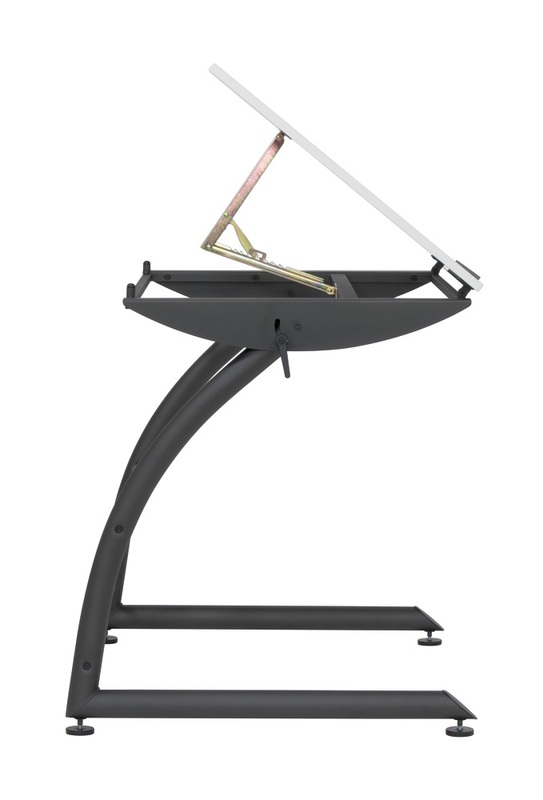 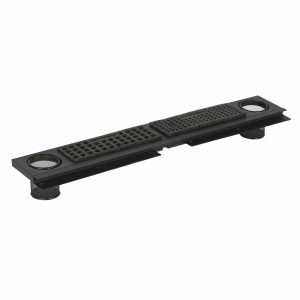 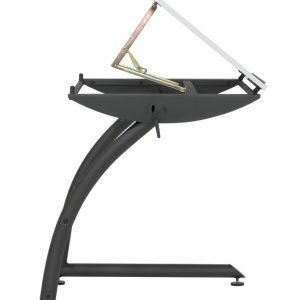 It also allows the tabletop to tilt up to 22 degrees in the standing position or up to 68 degrees in the sitting position. 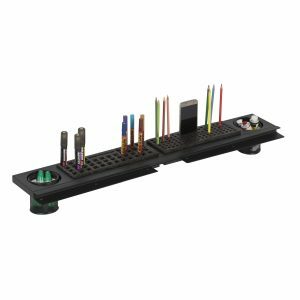 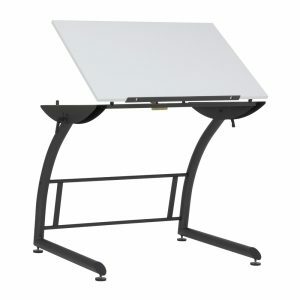 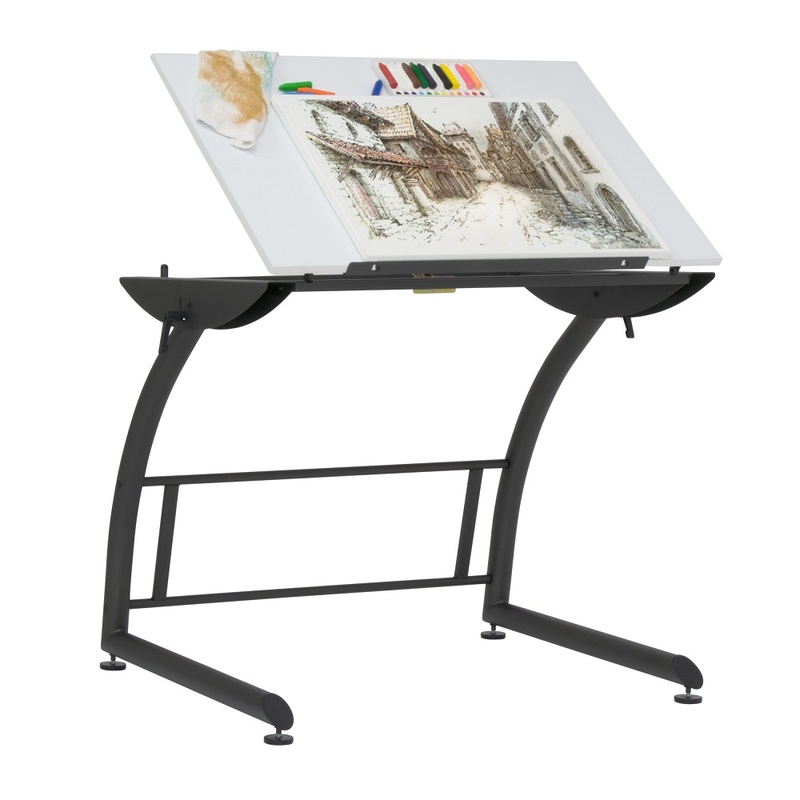 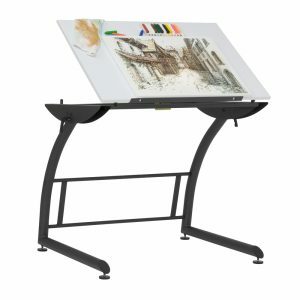 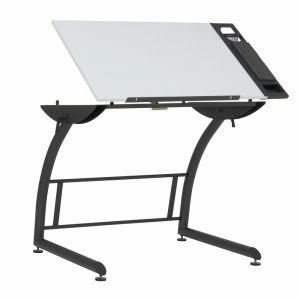 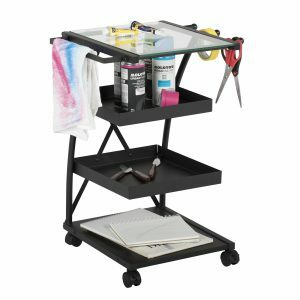 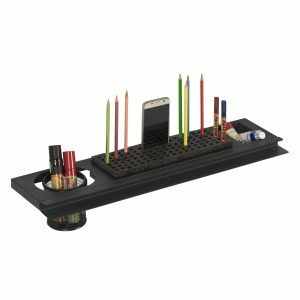 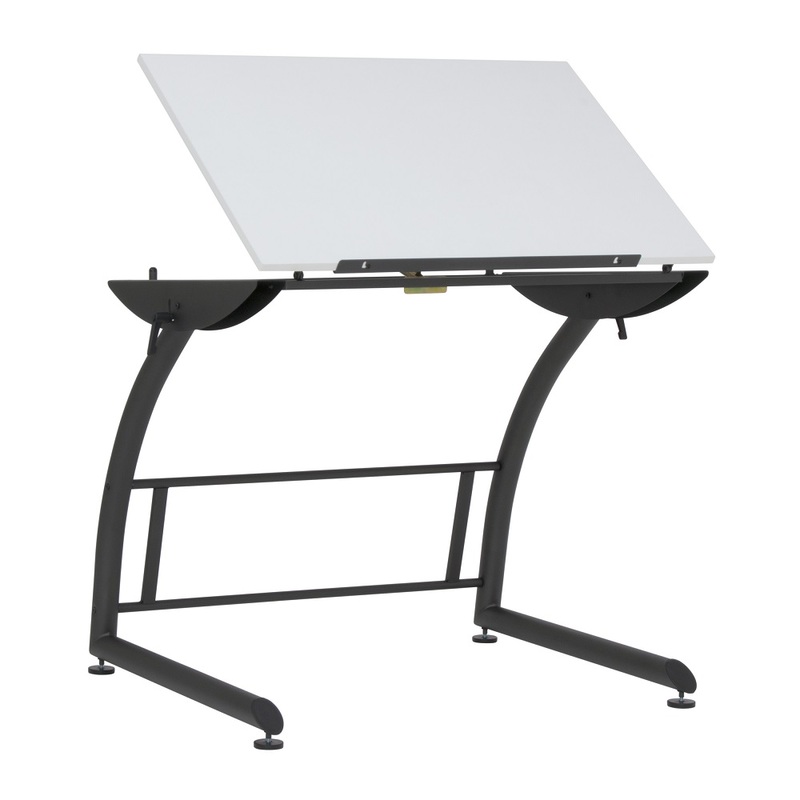 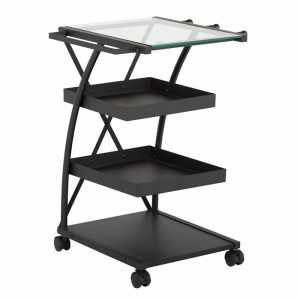 The near vertical tilt makes it the perfect art table when using art pencils or pastels. 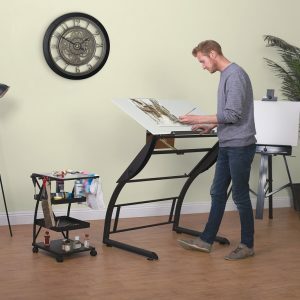 The dust and excess residue can effortlessly be wiped to fall on the ground. 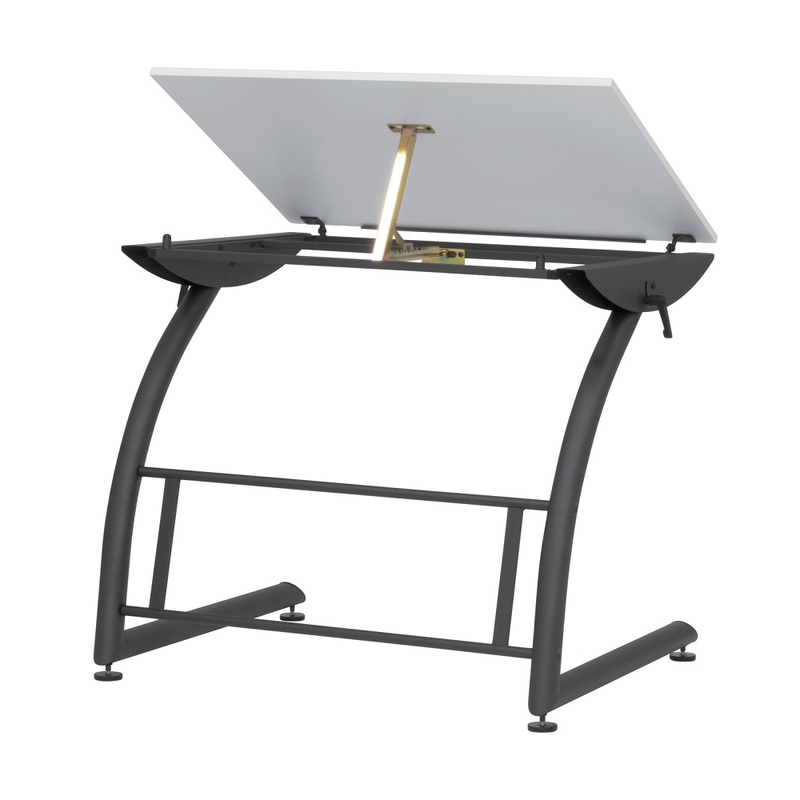 The ingenious versatility of this table makes it three desks in one. 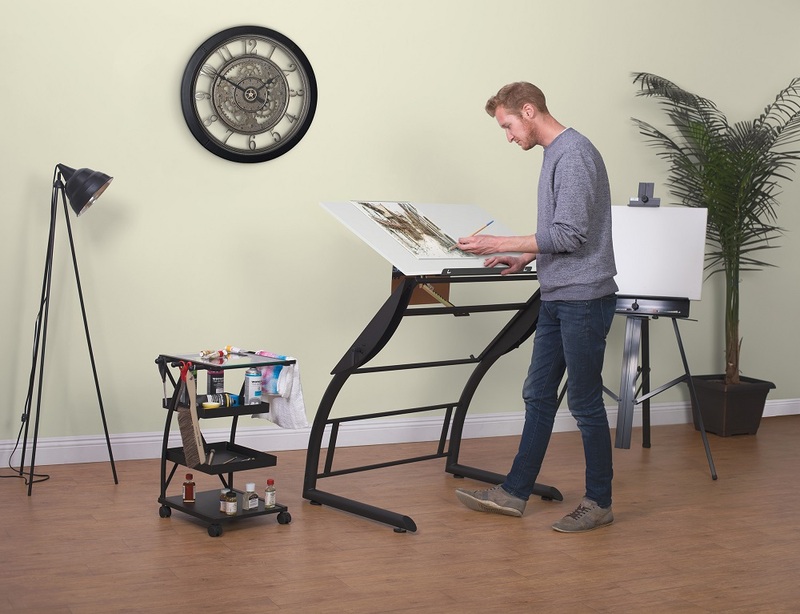 It can be used as a standard, drafting or standing desk.